This week wasn't quite as crazy as last week. I got a few books that I'm excited about but not quite as many. I'm really excited about what I did get! This is a new to me author but I'm definitely looking forward to reading this one. After suffering from personal tragedy Macy Stoddard takes a job as a private nurse in the mysterious Summerplace on Hallstead Island. There's winding halls, sinister secrets, veiled threats. and hostile servants. Can't wait! Next good thunderstorm this book is definitely coming out. I've heard of Nigel Slater but I've never tried any of his recipes. I'm really excited to give this book a try. I think "Simple, every day foods" sounds perfect for summer cooking. I've heard such good things about this book so I was thrilled when I was finally able to get it from the library. Another one I've really been wanting to read and have heard great things about. I was thrilled when I stumbled on it on an Amazon monthly sale. The only downside is that since it's in e-book form I don't get the cover which is stunning. I don't know why this happened. It came up on Kindle Daily Deal and I thought I haven't read any Mallery in awhile. The 2nd in her series set in Ireland. I really loved the first one and can't wait to read this one. And my Friday 56 where commentors actually gave me new perspective on a book I've reread countless times. On a personal note there's my Friday 5 - 5 facts and 5 pictures from my week. A review of one of my favorite mysteries this year will be out on Wednesday. And as always my Top Ten Tuesday and Friday 56/Book Beginnings. Katherine, Secrets of Hallstead House looks quite good! Enjoy your weekend! I have my fingers crossed with this one. This type of book can either be really great or really awful! Enjoy your new books! I love the look of Secrets of Hallstead House....and I have The Storied Life of A.J.Fikry on my list. Thanks! I've been really wanting to read A.J. Fikry and I've got my finger crossed about Hallstead House. I'm a mystery fan myself and I'm have high hopes for Hallstead House. Thanks for visiting! Enjoy your new books! 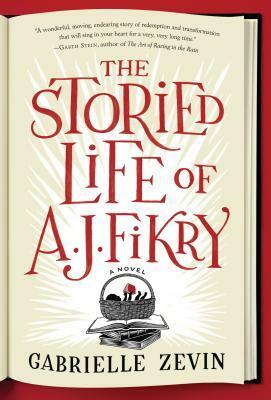 The Storied Life of A. J. Fikry is on my to-read list, along with the Sheila Connolly series. And I'm behind on The Garden Plot - I have an ARC but it slipped through the cracks, so I need to get back to it! Thanks for stopping by The Bookwyrm's Hoard. P.S. Just skimming through your recent archive, I see we have a fair number of books in common, from older favorites to the ARCs and new books we read. So I'll be following you via Bloglovin! I hate when a book falls through the cracks! I've had that happen a few times. The Garden Plot is good. Not necessarily a must read but definitely an interesting premise. I have hopes for the series. I love Sheila Connolly though I don't always know exactly why. Something about her writing always gets me. I've noticed our book similarities as well! So glad! I've added you to my feedly feed! I'm really looking forward to following your reviews! Thanks! Looking forward to getting some reading done! The Storied Life of A.J. 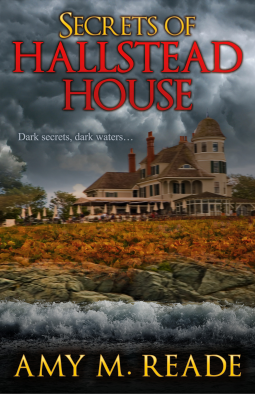 Fikry is already on my Goodreads list, but now I'll be adding Secrets of Hallstead House too. Thanks for visiting my blog. Have a great reading week! I'm really looking forward to both of them. I hoping A.J. Fikry lives up to the reviews and Hallstead House is as great of a gothic as it looks like it could be. Your books look great. Secrets of Hallstead House really has my interest. Enjoy! Thank you! I'm looking forward to reading it. We've got storms forecasted in the next few days so I'm thinking it will be perfect reading! I'm hoping it will be! We have some thunderstorms forcasted in the next few days and I'm thinking it will be the perfect read! Enjoy your books! Ah yes, beautiful weather has a way of doing that. Thanks! It does definitely slow down the reading! Not only was I too busy to get as much reading as I wanted done I was too tired from all the activity to stay up and read as late as I wanted! I'm really looking forward to this one! Everything I've read about it sounds just right for me! Thank you! I'm really looking forward to reading it! Enjoy the weather and your gardening. I love this time of the year. Thanks! This is a group I'm really looking forward to reading! I love getting my garden going and seeing all the plants growing. Have a great week! I've seen a few reviews of it and they were glowing plus it's a book involving bookstores and 2nd chances which are 2 of my favorite topics! I'm hoping I'll love it as much as everyone else seemed too! Thanks! Those Kindle deals kill me! 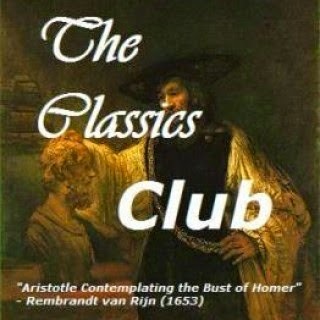 Or sometimes I'll go to look up a classic of some kind, find out it's free and get that and 10 other books. It's an illness but one I don't think I'm alone in! Love the sound of the one set In Ireland!! Im Irish so I love reading about the place :) Great haul and I hope you enjoy!! My family is from Ireland but I've never been able to visit so I use books as an inexpensive way to connect! This series talks a little about some of the economic trouble and I wonder how true to life it is. Thanks for visiting! Interesting additions this week. I also love books set in Ireland! Enjoy! Books set in Ireland get me every time! It looks like you got some good ones! Like others have also said, I love books set in Ireland! I'm looking forward to reading them. The Irish setting is a weakness of mine! The review on Biting through the skin was interesting, I have a personal interest in Indian cooking so will look out for this one. Thank you! I enjoyed Biting Through the Skin so I imagine it would be even better if you had a personal connection! Definitely! I could use a few weeks where I don't get any new books but it's so hard to actually let that happen! Friday 5 - School's Out!